To może za mały rozmiar wybrałam, haha :D Buźka :)! Have a good week!!! 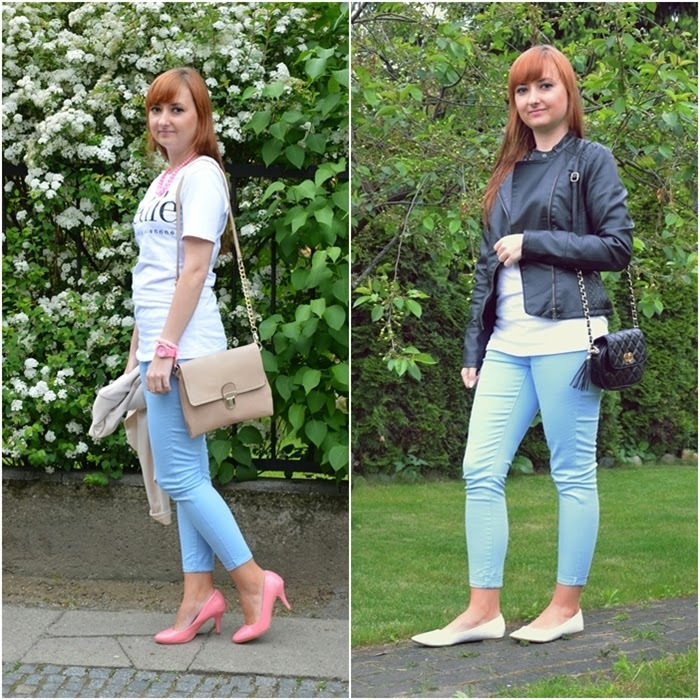 and my like in bloglovin for your post!!! the lighter one with pink shoes! I like the leather jacket outfit!! Sweetie pie that's pretty hard to tell because I like them both. The first one is of a more summer feeling the second one more for brighten up rainy days. See, they are both perfect! Definitely the one with pink shoes! Very nice styling! I like your useage of a pop of color in the look with the blazer, though I prefer the leather jacket. The jackets are a versatile way to mix up this look! 2!!!! I love the neutrality, especially the white shoes! 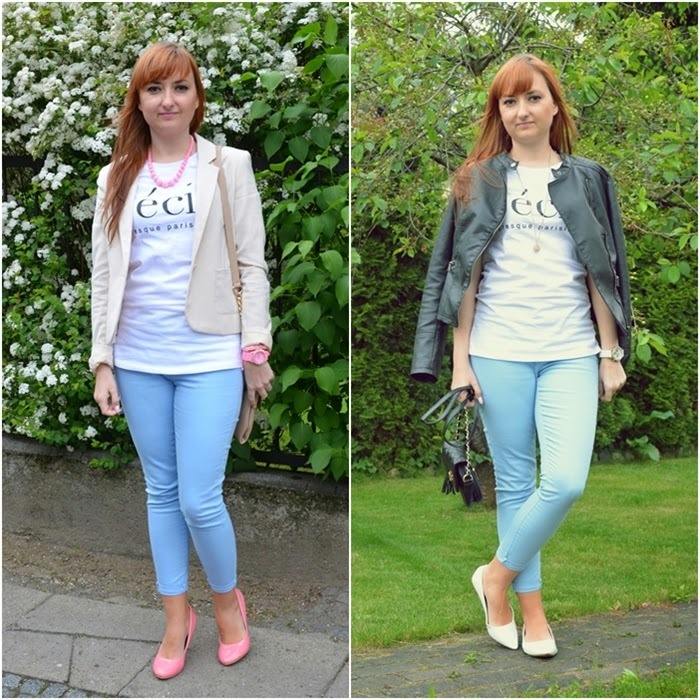 Love your Cecile shirt as well! Just followed you on Instagram, GFC and twitter. WOuld love if you checked me out and followed. Obie wersje są bardzo fajne, bo jedna jest bardziej elegancka a druga sportowa:-) W obu podobają mi się buty! I adore bikers....so you know my choice! I love the one with pink shoes! A very pretty view. I like everything! And your light jacket and your jacket. Dla mnie oba wspaniale, ja wybrałabym 2! I like the one with the leather jacket! The black jacket kind of like gives an edge to the baby blue pants! I love it the second! Both outfits are cool! I love the one with the pink pumps !